The Musician's Opticians has an eye on the prizes. We are tickled pink here at Allegro Optical. Some of you may have already seen the list of finalists released by Optician Magazine. In particular for the category for the Dispensing Optician of the Year Award. For those who haven’t, I would like to share some fabulous news with our lovely readers. It’s the news that Sheryl Doe has been shortlisted for the Dispensing Optician of the Year Award. Sheryl has been making a name for herself for her work helping musicians. This achievement continues our winning streak. Allegro Optical has also reached the regional finals of the Federation of Small Business FSBAwards. We have been short-listed for the Start-Up Business of the Year category for Yorkshire and Humberside. The Optician Awards are run by Optician Magazine, one of the leading independent UK journals for eye care professionals. Sheryl said, “This really is a great honour. It is humbling to be recognised alongside some highly regarded professionals within the industry”. The awards dinner is on 14 April so we have our fingers well and truly crossed. Whatever the results, it’s sure to be a great night celebrating innovation and expertise in the optical industry. Allegro Optical is a new startup optician with a difference. Unlike many of the large optical chain stores, our business is mostly staffed by people over 40 years of age. By employing older staff we have a wealth of experience to call on. 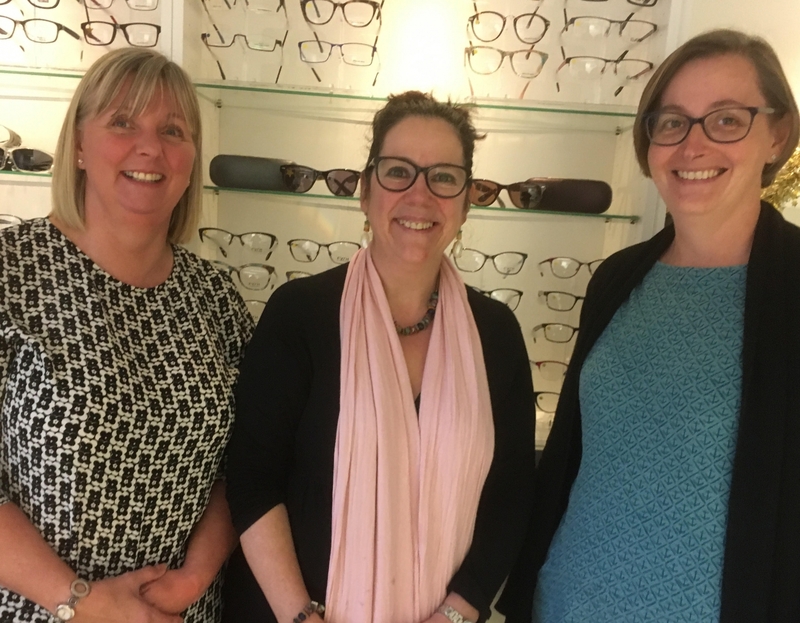 We feel it is this wide experience which gives our clients a first-class experience and it also means that our staff can empathise and often understand from their own experience, the varied eye conditions we frequently see. Our target client is the older person who feels rushed or sometimes overwhelmed when using one of a large number of optical chains out there. We offer a more personal and less pressurised environment to the "big boys". As far as we know we are the only opticians in the world to specialise in helping older musicians with their vision and we have a range of lenses that we have developed especially for the older musician. We have been lucky enough to have clients travel from all over the world to use our service and we have been successful in both enhancing and extending our clients playing and performing careers. © Copyright 2019. Allegro Optical.